If you want to get more traffic and sales to your ecommerce website, then on-page SEO is a critical first step. There are multitudes of how-to articles and tutorials on the web offering general SEO advice, but far fewer that specifically address the needs of ecommerce entrepreneurs. Today, we’d like to give you a basic understanding of on-site search engine optimization for ecommerce. It will be enough to get you started, make sure you’re sending all the right signals to Google, and set you up for SEO success. Ecommerce SEO is the process of making your online store more visible in the search engine results pages (SERPs). When people search for products that you sell, you want to rank as highly as possible so you get more traffic. You can get traffic from paid search, but SEO costs much less. Plus, ad blockers and ad blindness can reduce the effectiveness of paid search, so you’ll want to optimize for search regardless. Ecommerce SEO usually involves optimizing your headlines, product descriptions, meta data, internal link structure, and navigational structure for search and user experience. Each product you sell should have a dedicated page designed to draw traffic from search engines. Create a list of keywords for those pages as well as related keywords. Tools like Ubersuggest make it easy to search for one long-tail keyword and find semantic keywords that go well with it. What do consumers do when they need a product or service? Many perform Google searches. They’re looking for options, tips, comparisons, and other information to help them make informed decisions. If your website doesn’t appear in the SERPs, you lose critical access to qualified and interested ecommerce customers. Your products might have a space on the web, but are they findable? That’s where ecommerce SEO comes in. It provides you with a way to reach your target audience without paying for ads. Once you get people to your site, you can delight them with your high-quality products, intriguing copy, and motivating calls to action. If you only optimize your website for people, you do your company a disservice. SEO for ecommerce addresses the first hurdle to acquiring new customers: Getting people to your site. Ecommerce SEO might seem like a huge task, especially if you already have a website populated with tons of products. Yes, it might take time, but you can speed up the process with an ecommerce SEO strategy. Prioritize pages: Which pages on your site get the most traffic? Start with them. Additionally, if you want people to focus on a specific or flagship product, optimize for that product first. Create a workflow: SEO requires you to meet lots of specific requirements. Choosing keywords, adding meta data, naming your images correctly, adding image alternate attributes, and incorporating related keywords all fall under this category. Check out the competition: Your ecommerce SEO strategy should be designed to outwit the competition. Look at your top competitors’ sites and check out their SEO efforts. Identify ways to make yours better. Follow through with CRO: Conversion rate optimization (CRO) should follow SEO. We’ll talk about that more later on. Keep reading for more detailed instructions for an effective ecommerce SEO strategy. Let’s look at some of the best tips for ecommerce sites that are lacking in the SEO space. If you want people to find your products more easily, you need an ecommerce SEO strategy, and checking each item off your list will make your strategy more effective. Yes, keywords still matter. You don’t want to overload your product titles and descriptions with these keywords, but they need to be present in the copy. Mention your primary keyword in your product headline, description, meta description, image alternate attributes, and subheadlines. Sprinkle latent semantic index (LSI) keywords throughout. These are related keywords that help Google understand your page in context. Before you use a keyword, do some research on it. 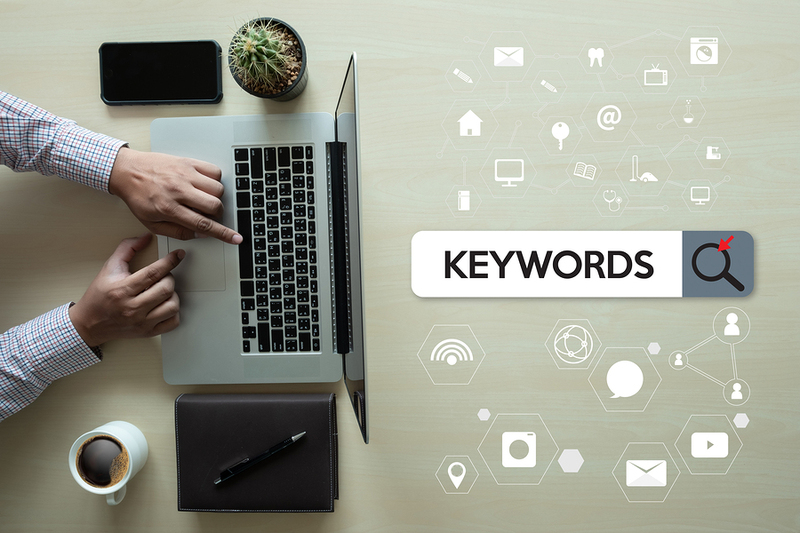 Know how often people search for it (keyword search volume), how competitive it is in the paid advertising space (cost-per-click, or CPC), and what people are looking for when they use that keyword. Search volume tells you how much interest a particular keyword inspires in consumers. A high search volume indicates greater popularity, which means you’ll get more active searches for that keyword. CPC tells you how much people pay per click when they buy advertising based on a specific keyword. A high CPC indicates increased competition. If your target keyword is extremely competitive, consider finding a long-tail alternative. Finally, user intent describes what people want to find when they type a specific keyword into Google’s search bar. Let’s say, for instance, that someone types “shower” and hits Enter. Does that person want information about shower installation, shower repair, baby showers, bridal showers, or something else entirely? If you can’t determine the user intent behind a keyword, add other words to the search string for clarity. If you have no clue where to start with on-site optimization for your ecommerce site, then your competitors are your best bet. Larger competitors, in particular, have probably already put in the legwork for optimizing their websites, and you can learn many of their secrets on their websites themselves. Keywords are the thing you need to focus on. Particularly, you’ll want to analyze the keywords on their homepages as well as their top product pages. How can you tell if a website is optimizing for a particular keyword? You can start by using the Moz browser extension to see the SEO title and description your competitors use in their title tags. You can also use tools like SEMrush to see what keywords your competitors are ranking for on both organic and paid search. Don’t stop your research with keywords. Check out your competitors’ landing pages too, so you can see how they use the specified keywords to optimize those pages. The homepage is typically where most businesses focus their SEO budget and energy. While it is definitely one of the top pages of your website to optimize, it is by no means the only one you should focus on. That said, you do want to optimize your homepage well. The key things you want to add and optimize are include the following. The SEO title tag is one of the most important element of on-site search optimization. It should include your business name along with the main keyword phrase you are targeting. You should write this title tag in fewer than 70 characters and in a way that is appealing to search visitors, as they will see it in search results. While this is not important as far as keyword rankings, the meta description for your homepage is a 160-character description of your business that will also show up in search beneath the title tag. Write it in a way that encourages people to want to visit your website. The content on your homepage should help visitors learn more about your business and the products you have to offer in a clear and concise way. Avoid overloading visitors with too much information. Consider featuring your top few products on the homepage and your unique selling proposition. Cluttered homepages can confuse visitors as well as search engines. For instances, maybe you sell products in many different categories. Google will struggle to identify what you sell and who you’re targeting with your products, so get specific about what your site offers. As you are adding products and categories to your store, remember that site architecture plays an important role in search optimization. Particularly, you want to have a distinct hierarchy of navigation, from your homepage to product categories to the products listed within them. Search engine bots will discover your pages and products on your website based on a clear internal linking structure that is easy to follow — and not too deep. The rule of thumb for search engines and visitors is to make sure people can reach everything within three clicks. From the homepage, they should only have to make a maximum of three clicks to get to any product on your website. Linking to related products or to information-rich blog articles can help improve ecommerce SEO and make your site more tempting for deep dives. Product pages are the lifeblood of your business, so you will want to focus a lot of your energy on optimizing them. Many ecommerce store owners simply write a few lines of text about each product and throw up an image or video. You need more information on your product pages so Google can find them. Here are the specific things you want to work on. The name of your product is important. In most cases, it’s also used in the SEO title and URL of your product page. This is why you may want to consider adding a common search term or keyword phrase to your products. For example, if you are selling T-shirts, be sure to include “T-shirt” or “tee” in the product name. That way, the keyword also ends up in the SEO title and URL. As an added bonus, when people share your product on Facebook or Pinterest, that keyword will be in the title of the shared post. Images are an important part of your product page. Stand in your customer’s shoes for a moment. Are you more likely to buy a product from a site that clearly depicts the product from as many angles as possible, from a site that has no image at all, or from one that is small and illegible? Not only are images important for your customers, but they are important for search optimization. To properly optimize your images for search, start with the filename. Don’t add images named IMG0010.jpg to your product pages. 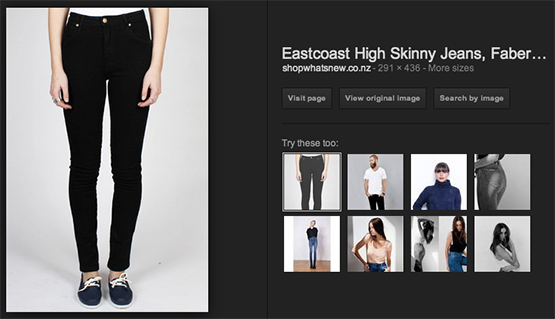 Instead, use the product name and main keyword, such as eastcoast-skinny-jeans.jpg. If you have alternative views of your product, include keywords that people would use if they were searching for those images in search. Also, when you add your images to your product page, include the product name and keyword in the ALT text for the image. The result? Your images now have a chance of appearing in Google Image Search as shown in the image above, or in the main search results page as a part of the additional media showing. 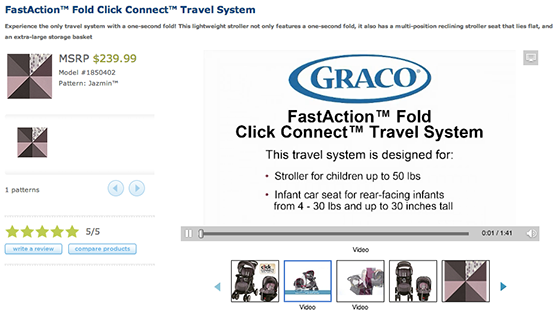 Help your customer feel more confident about their purchases by also adding video to your product page. The video can be basic information about your product (like a commercial), a how-to video on ways to use the product to get results, or testimonials from people who have used the product. Why is video so important? For starters, it stands out in search results. Publishing videos offsite on networks like YouTube can be a great way to attract and educate potential customers about your products. Educational DIY videos, for example, can show people how to create something amazing by incorporating your products. Once they get into the idea of working on that project, they’ll be more likely to buy your related products. Bad reviews aren’t always a bad thing either. Think about it – if you have a higher priced item that has great reviews, and a lower priced item with so-so reviews, then people will be more likely to choose the higher priced item, resulting in greater sales for your business. Do people ask questions about your products? Of course they do. Having product-specific FAQ content on your product pages is a key to conversions. If customers have questions that you don’t answer, they’ll go somewhere else to find those answers — and likely buy from the source that answers the questions.Why? If customers have questions that you don’t answer, they’ll go somewhere else to find those answers — and likely buy from the source that answers the questions. Having a general FAQ page on your website is also a good idea. Answering basic questions about your website’s security, shipping, and return policies can increase buyer confidence, leading to more sales. People do considerable shopping on mobile these days. Using a responsive design for your ecommerce website can not only lead to better user experience, but also improved search results. Google’s mobile-first index uses mobile friendliness as a ranking signal. Page load speed is also a ranking signal, both for desktop and mobile. The faster your pages load, the better Google will rank you. How do you decrease page load speed? Focus on subtracting as many unnecessary elements from your page as possible. For instance, a huge background image that’s mostly covered by a white body column might not be necessary. Similarly, remove any plugins or add-ons that don’t contribute to your ecommerce business’s bottom line. The larger your images, the longer a browser takes to load them. If you reduce an image’s size from 1,000 by 1,000 pixels to 500 by 500 pixels, you’ve reduced its “weight” by half. 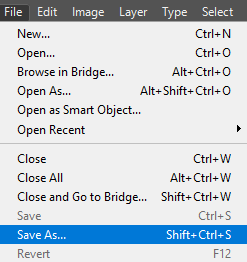 You can also save your images as lower-quality jpgs with a program like Photoshop. 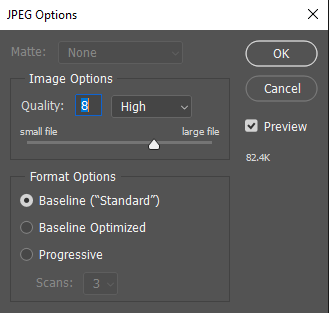 You’ll have the option to save your image as a jpg at a quality level between zero and 12. Simply moving the arrow from a 12 to an eight can drastically reduce the file size. In this case, the image went from 125K to 82.4K. 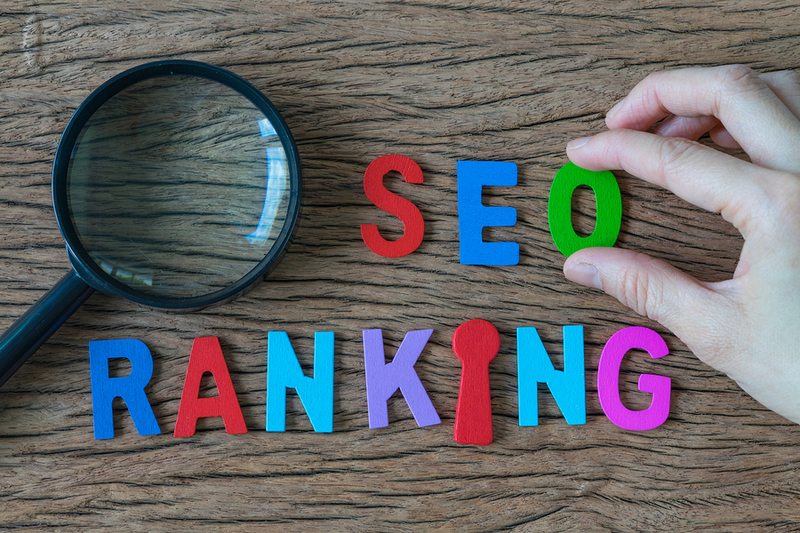 Backlinks are another ranking signal Google uses to determine where your pages belong in the SERPs. The more backlinks you have from high-quality sites, the more authoritative your site becomes. Building backlinks for ecommerce sites doesn’t have to be difficult. Guest posting on blogs related to your niche is one easy, white-hat way to build links. Simply email the owners of the blogs you’re interested in and offer them three or more ideas for potential guest posts. If you want your ecommerce SEO strategy to work, you need the right tools. 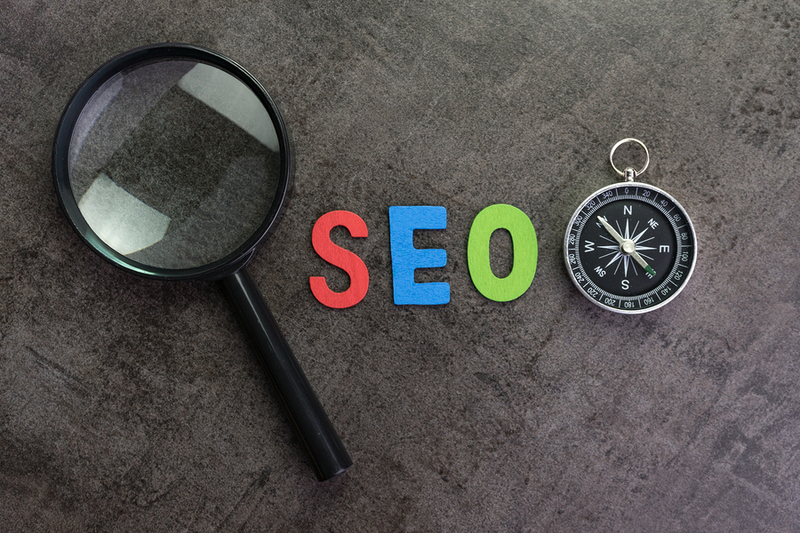 The following are some of the most helpful websites for finding ways to improve your on-page and off-page SEO for greater visibility in the search engines. I mentioned Ubersuggest briefly above. This is a highly beneficial tool for isolating the best keywords to target for your ecommerce site and for finding related keywords to help boost your rankings. Simply type in a keyword related to your product. The tool will scrape various sources on the web for information about related keywords, CPC, search volume, and more. Use Ahrefs to optimize and track your ecommerce SEO strategy. It’s great for finding backlinks to your site as well as to your competitors’ sites. If someone has linked to your competitor, you might be able to snag a link to your own site by emailing that person and establishing a rapport. Offer to link to his or her site, then suggest one of your high-quality posts that they’re audience might be interested in. ScreamingFrog is great for finding problems on your site, such as broken links, missing meta descriptions, and duplicate content. When you identify those problems, create redirects or add missing content so you don’t get penalized in the search engines. The free version offers plenty of useful tools, but if you have more than 500 URL extensions, you might want to upgrade to premium. MOZ is the ideal tool when you want to track and find keywords, find link-building opportunities, and analyze competitors’ page metrics. There are free and paid versions, so you can decide how much power you need to fuel your ecommerce SEO campaign. I briefly touched on CRO above, but what do conversion rates have to do with SEO? The answer is that they’re two stages a consumer must go through to purchase your ecommerce products. If people can’t find your site (SEO), they can’t convert on your offers. Similarly, if you haven’t optimized for conversions, all the visitors in the world won’t bring you sales. Combining SEO with CRO gives you a powerful set of strategies to help you drive conversions and generate sales. Ecommerce has become increasingly competitive, so you need ways to get more people to your site and through the sales funnel. Start by analyzing your site carefully with heatmap, scrollmap and confetti reports. View how people engage with your site so you can optimize each page for conversions. As long as you’ve optimized for SEO as well, you can generate consistent traffic and convert a higher percentage of them. Many ecommerce business owners want to jump straight to increasing conversions. That’s the right mindset, but you’re a step ahead. You have to get people to your site before you can convert them on your offers. Beginning with ecommerce SEO sets you up for success. If you follow those steps, your ecommerce site will rank better in the search engines and generate more prospects for your CRO efforts.